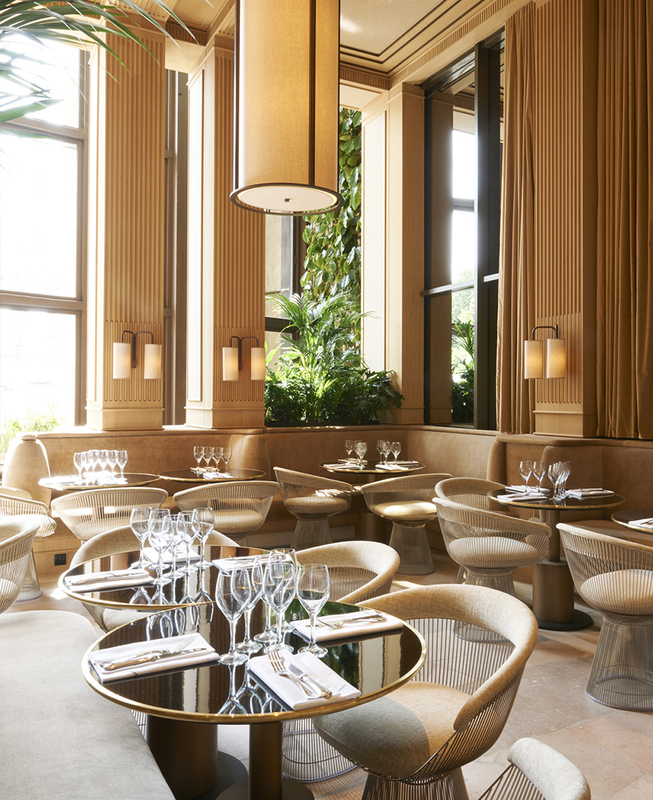 Continuing their cooperation with Parisian architect Joseph Dirand, restaurateurs Gilles Malafosse and Laurent Geurcoff have opened their Girafe seafood restaurant in Paris. 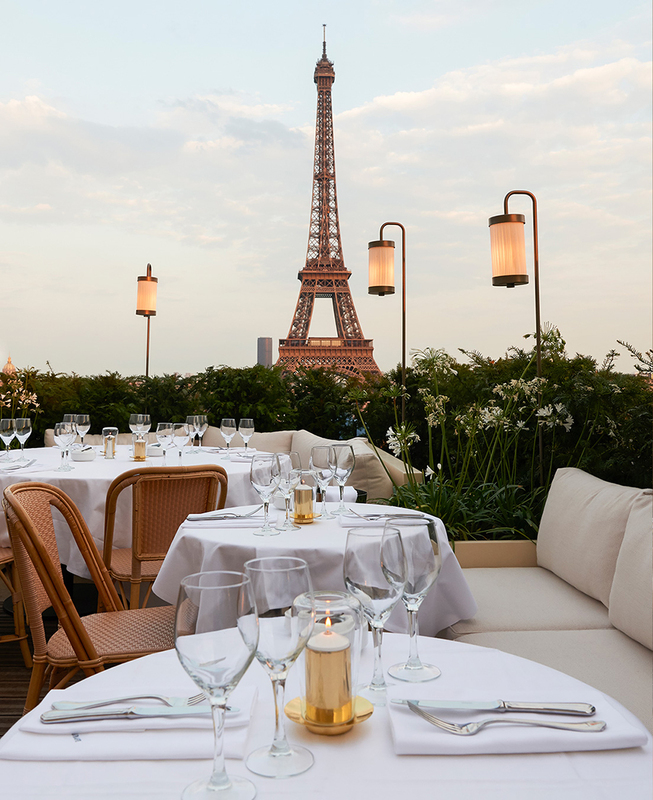 It is located at 1 Place du Trocadero, Palais de Chaillot, with a terrace overlooking the Champs de Mars with views of the Eiffel tower. Girafe is accessed through the Cité de l’Architecture museum and it has quickly become the place to be seen in Paris. 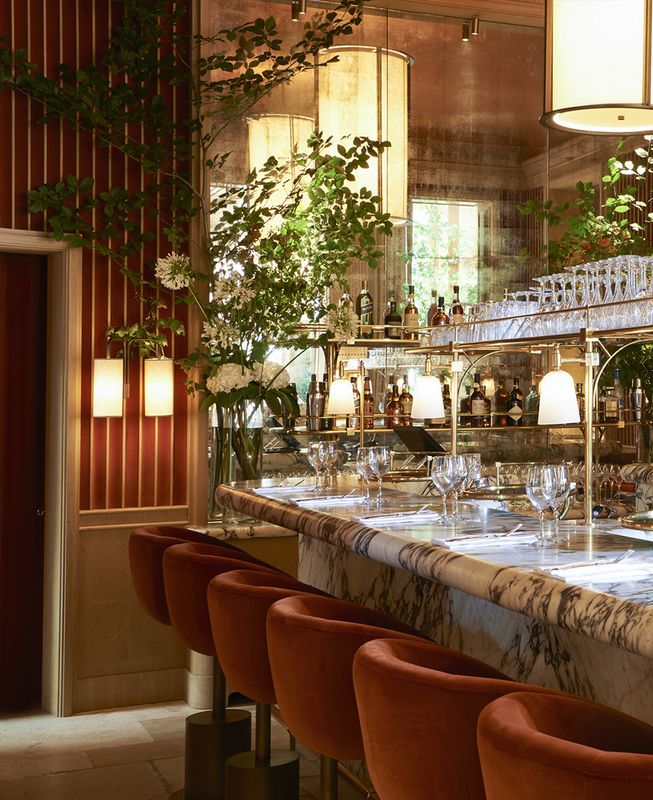 Girafe’s 1930s décor includes curved seating, velvety benches, a marble bar, brass detailing, paneled walls, high ceilings and retro house plants. 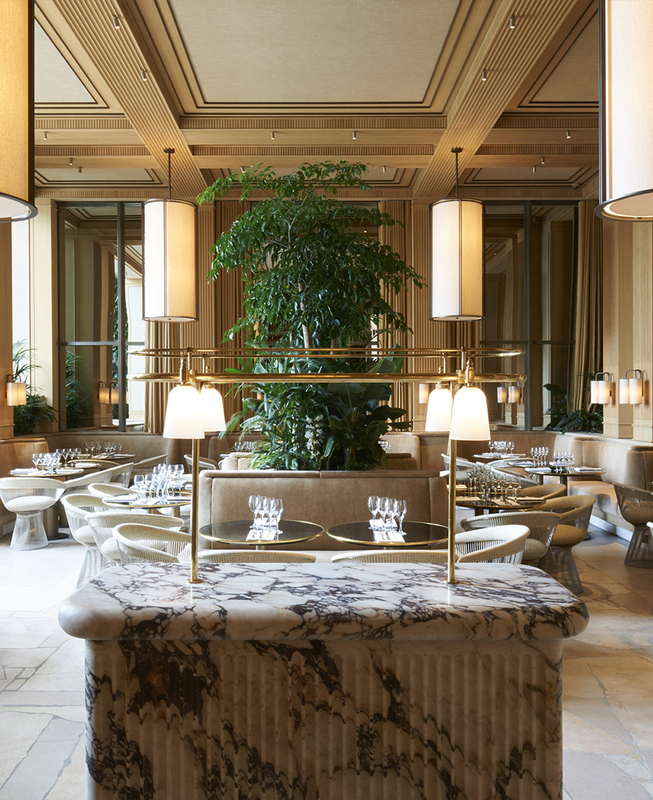 Head chef Benoît Dargère is in charge of the kitchen that focuses on seafood. 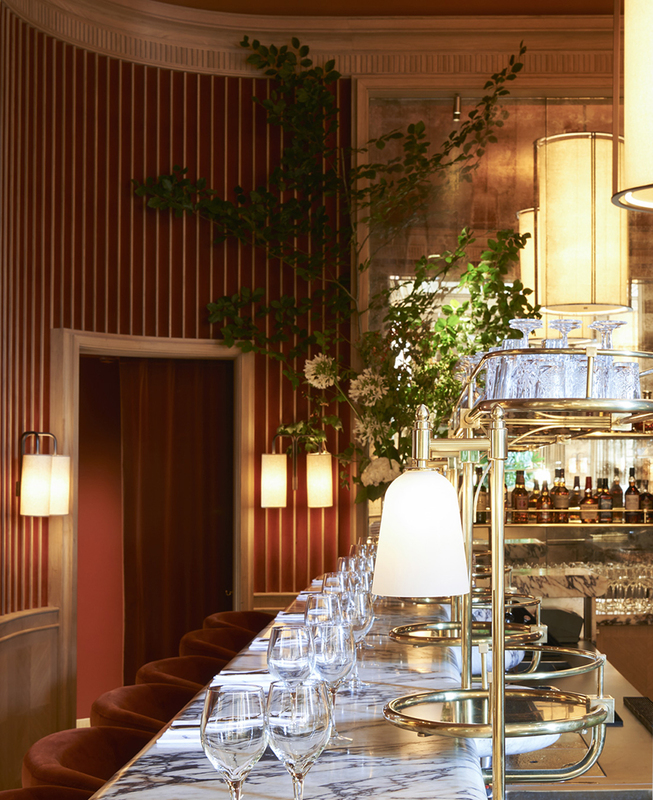 Dirand has also designed Malafosse and Geurcoff’s two other Parisian restaurants, Monsieur Bleu and Louou. Tuija Seipell.